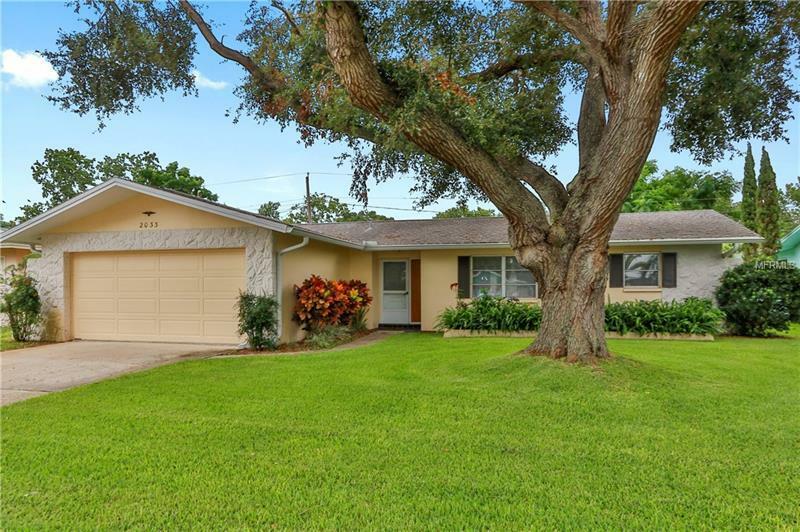 This Clearwater home is best described as a gem in mint condition. The pride in ownership has preserved its charm. This 3/2/2 features a split floor plan, a finished Florida room with central air and a screened in porch. The kitchen has a built-in hutch, upgraded wood cabinets with hidden hinges and the appliances are nearly new. The exterior landscape includes both a beautiful mature live oak and thick plush grass, which is rarely seen together. As far as location, location, location the Clearwater/Dunedin border is ideal, only minutes from downtown Dunedin, Clearwater beach, all major shopping and airports.